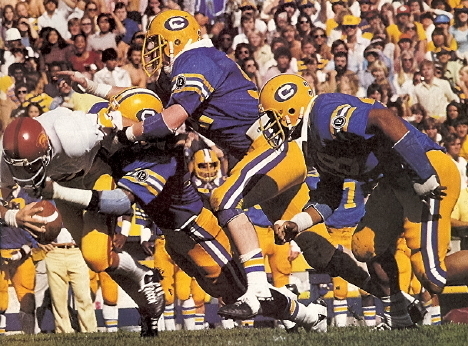 In a quiet way the Cal football team dedicated its 1977 season to Joe Roth. 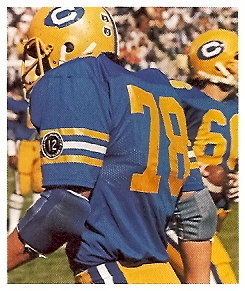 The only visible reminder they used of their former quarterback was a round, two-inch, black and white sleeve patch sewn onto their uniforms. The patch bore Roth's uniform number, 12, in the center with the words "Faith-Humility-Courage" around the perimeter. Those were the characteristics his teammates felt Joe displayed at all times. The team purposefully selected a low-key, not showy patch as a quiet remembrance of Joe and what he stood for. The silent tribute was the idea of the players on the squad because they felt that was the way Joe Roth would have wanted it. The patch was the team's way of remembering him each and every week. 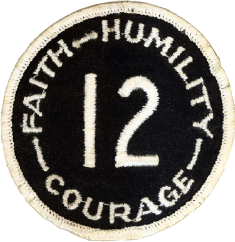 Below is an authentic patch worn by a member of the 1977 football team.